Sandal Castle was a very challenging site to reconstruct. With little remaining above ground, the reconstruction was only possible due to the extensive archaeological work carried out over many years. The castle reconstruction featured in our DVD on Sandal Castle and the Battle of Wakefield, including the original motte and bailey and later Plantagenet modifications to the site. 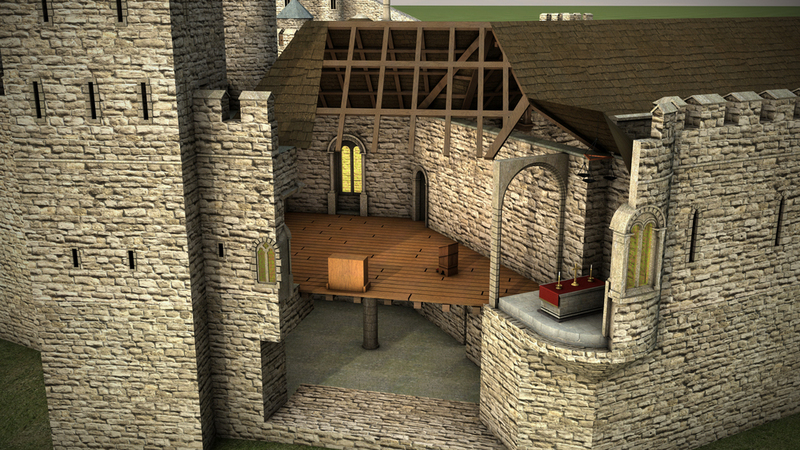 This model, as featured, was a first approximation of the castle, which is under constant modification to eventually produce a second approximation of the site. 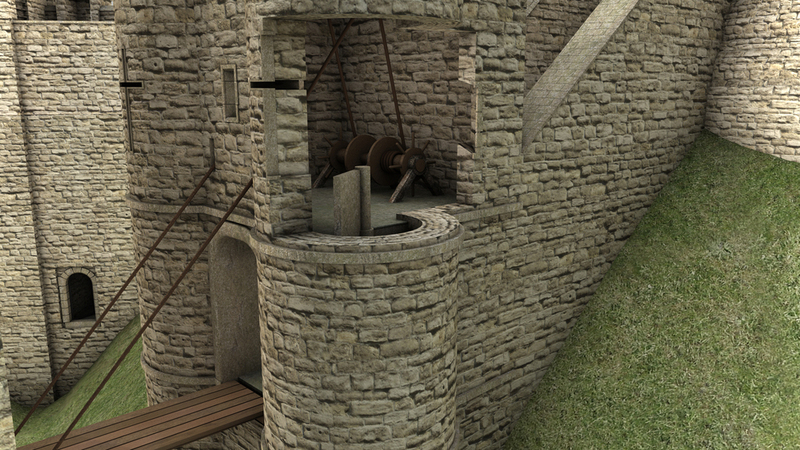 The eventual aim is to create a more detailed and consistent revision of this castle. 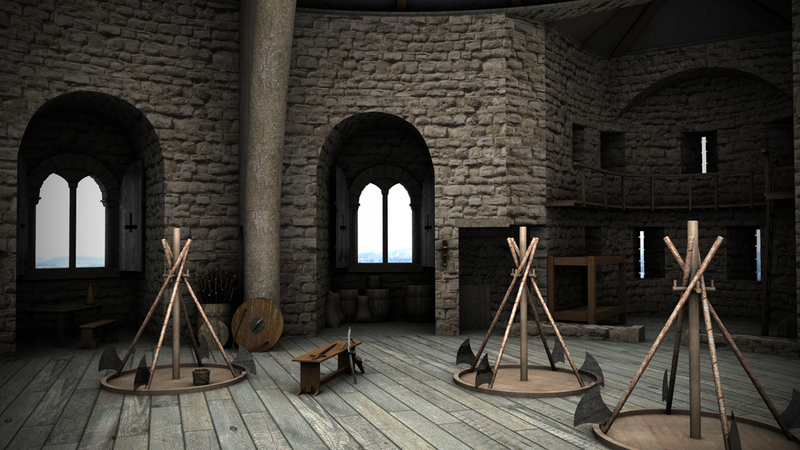 The amount of research and time required to rebuild a castle in such a ruinous state is immense. 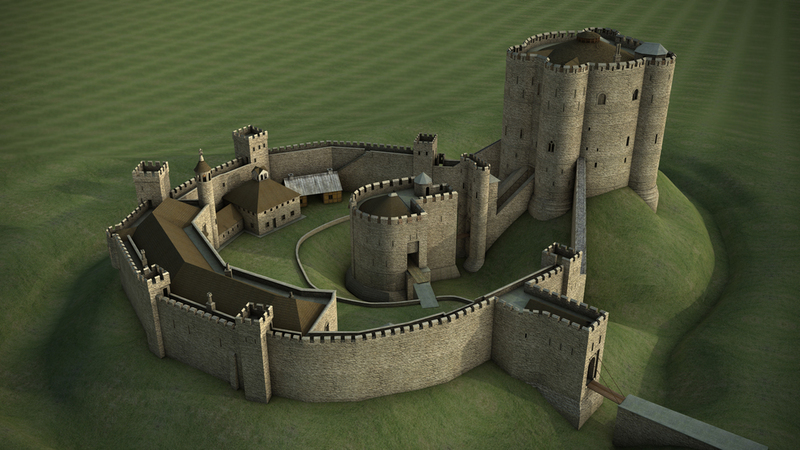 Despite numerous requests to reconstruct the neighbouring castle at Pontefract, I do not envisage beginning such an extensive reconstruction again at this present time. Sandal Castle & the Battle of Wakefield is a 75 minute DVD tour of the site as it is and with full computer reconstruction. Find out more here.